SILVER SPRING, MD –The Montgomery County Planning Department, part of The Maryland-National Capital Park and Planning Commission, is hosting a presentation by the winners of its third annual Design Excellence Awards at the Silver Spring Library (900 Wayne Avenue, Silver Spring, MD) on Saturday, March 17 from 11 a.m. to 12 noon. The talk, titled Two Inspiring Designs: A Park and a Healing Institution, is free and open to the public. RSVPs are encouraged but not required. RSVP for the March 17 Design Excellence Award Winners Event. 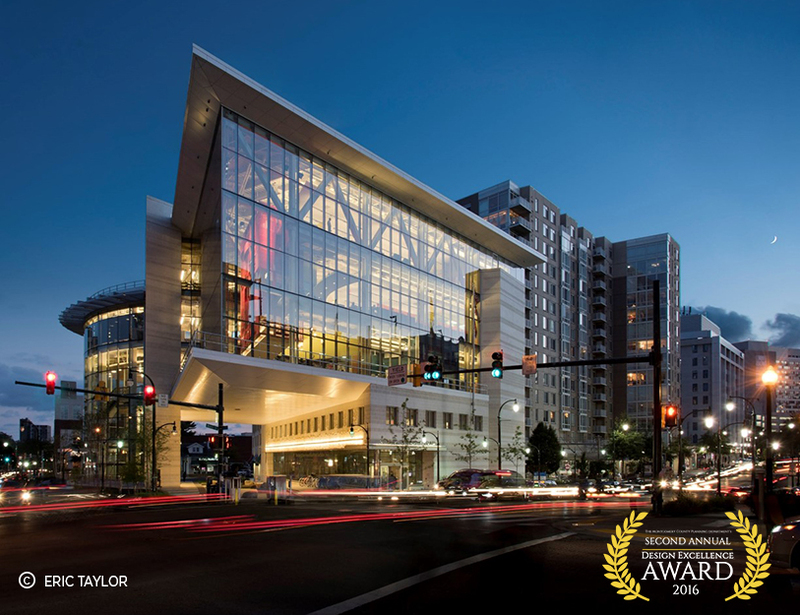 The most recent Design Excellence Awards, selected by an independent jury and announced in October 2017, honor both buildings and landscapes in Montgomery County that are currently in use and less than 10 years old. 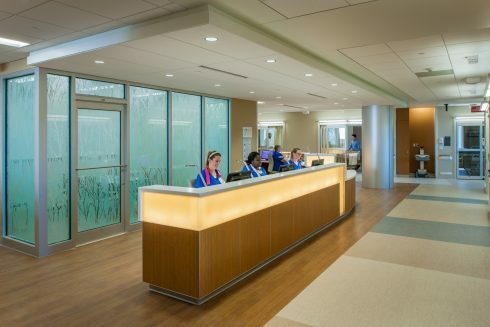 The top honors went to Holy Cross Hospital in Silver Spring and its new tower designed by the SmithGroupJJR of Washington, DC, and phase one of the day use area of Little Bennett Regional Park in Clarksburg, owned and managed by the Montgomery County Department of Parks. At the March 17 event, project manager Ching-Feng Chen, a landscape architect with the Montgomery County Department of Parks, will explain the design of the Little Bennett Regional Park area. 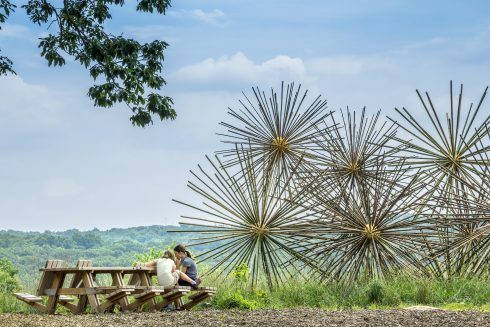 The four-acre space welcomes visitors with picnic tables, retaining walls made of salvaged materials, environmental art made of recycled bamboo and a meadow restoration. Architect Brian Martin of SmithGroupJJR will discuss the design of the Holy Cross Hospital expansion. The awards jury praised this center of healing for its architectural form, orchestrated entrance procession, organization of rooms and illuminated corner tower. They admired its “grace and beauty” and how it provides a new landmark for travelers on the Capital Beltway. Montgomery Planning is committed to promoting excellent design in Montgomery County through the Design Excellence initiative and Design Excellence Awards program. As one of the nation’s most educated and prosperous counties, Montgomery County desires neighborhoods, public spaces and buildings of the highest quality design to reflect our cultural health and maintain a competitive advantage within our region. Design excellence is increasingly important as available land for development in the County is shrinking, densities in our centers are increasing and priorities for excellent public spaces become more acute. These development challenges present a great need to create and enhance attractive, safe and sustainable places to live, work and play. Design excellence is an important tool for attracting the best and brightest to our County – residents, businesses and visitors. To raise the quality of design throughout the County, the Montgomery County Planning Department launched a comprehensive Design Excellence (DesignX) initiative focused on the themes of inspiration, collaboration and clarity. Established by the Montgomery County Planning Department in 2015, this awards program seeks to recognize exceptional work in architecture, landscape architecture and urban design that improves the neighborhood’s physical, ecological and social context. The winners represent built projects that enrich and contribute to the greater community, and confirm how physical design leads to greater health, economic opportunity and environmental sustainability. This award is an opportunity for building projects to be seen widely, particularly in business and professional settings where the best qualities of Montgomery County are promoted by the County Council, Planning Board and Planning Department. Learn more about Montgomery Planning’s Design Excellence program.